It is not gainsaying that only few house music DJs have had the privilege of going on music DJ tours. Miss Tara stands tall among her contemporaries for her exposure and opportunity to embark of different music tours across the world. Miss Tara has always been well received by her numerous fans and followers globally. In fact, most of her tours have always attracted huge following turning out to grace her electrifying appearance in different strategic places across the world. DJ Miss Tara was the featured in Toronto Film Festival afterhours as guest music DJ and the appearance was awesome. It was the talk of the town for many days that follows. In addition, Miss Tara has equally played in Monaco. Not many DJs have the chance of being an exclusive DJ set at Zelo’s Monaco. Miss Tara enjoyed that privilege and that added to her legendary appearance which also skyrocket her fame across the world. As one of the most beautiful parts of the world, Monaco is a true paradise and a real statement towards the opulence of life in 2014 for those who are able to get there. As a truly wonderful part of Europe, Monaco acts as one of the biggest entertainment hubs on the continent and regularly plays host to some of the most amazing performing acts and artists across the world. The Principality is a place of glamor, success and grandeur – and if you can afford to come here, you’ll have the time of your life! Famously under the watchful eye of Prince Albert II, Monaco is the home to some of the most amazing events that take place across worldwide. Some of its architecture will simply blow you away, giving you a true sense of just how regal things can be if you look for the right quality of living. One of the biggest parts of Monaco that attracts people from all over the world, however, is the fact that it holds so many amazing musical concerts and gigs all across the Principality. This means that if you are here in Monaco, you’ll have a lot more to do than simply visit the F1 Racing or go to the AS Monaco football matches if you want to see some entertainment. Although the shopping side of Monaco is almost second to none throughout Europe, there are many other ways that you can entertain yourself when you come here – from sport to arts and history, you’ll find that Monaco is a bastion of high-class entertainment that you aren’t likely to ever forget about. Miss Tara has previously been a guest performing act at Zelo’s, and was one of the most well-received acts at the time. Her blend of exciting beats was the perfect setting for loyal fans. 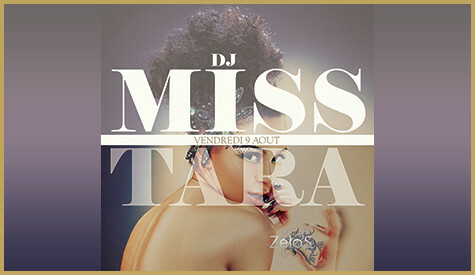 As a prominent DJ/Producer, Miss Tara has appeared in many venues but rates Zelo’s as one of the most prominent she has been playing at in Monaco. When you see the true elegance of the setting, it’s easy to see dance music fits perfectly! One of its most prominent locations is Zelo’s, a massive restaurant and bar area that provides you with the perfect place to relax and enjoy your food with one of the most beautiful views available in the whole of Monaco awaiting you. This is the true definition of high-class, and has been the stopping point for people all-across the world looking for five star food and entertainment for many years. The true personification of the high life here in Monaco, this is a location that makes itself stand out due to the stunning décor.